One of South Africa’s tourism attributes is that it has the third highest commercial bungee jump in the world. Here’s more information about bungee jumping and bridge swinging in the country. Weehah! South Africa has the third highest commercial bungee jump in the world – it’s official. At 216 metres, it’s not for the faint of heart. 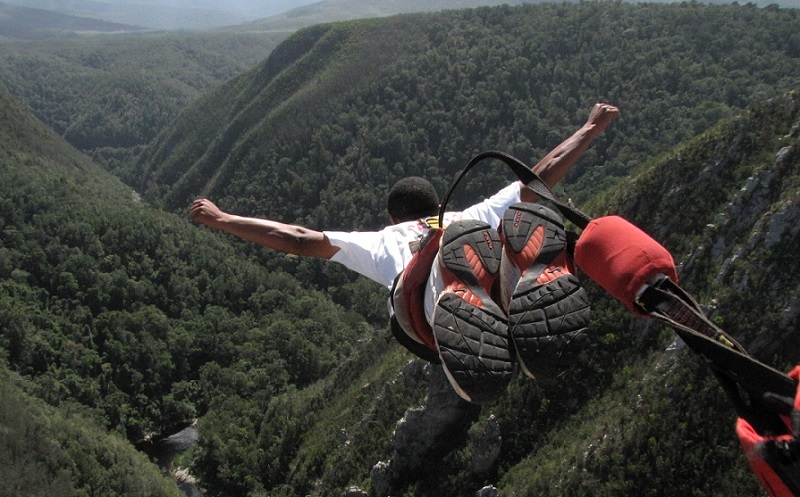 The jump is run by Face Adrenalin, at the Bloukrans Bridge on the border of the Eastern and Western Cape. The same company also offers a range of jumps on the much lower Gouritz River Bridge near Mossel Bay, also in the Western Cape. Here you’ll also find South Africa’s only commercial bridge swinging operation, run by Wildthing Adventures. 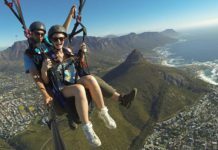 Hang out a kilometre high over Cape Town, over crashing waves at Knysna, or rapp jump down skyscrapers in Johannesburg or Durban. Big Rush, in Durban, is recognised by Guinness World Records as the tallest swing in the world! It is to be found at the Moses Mabhida Stadium, which has plenty of other attractions on offer. The big swing is located inside the Stadium, launching from the iconic arch. Everything else you need to know can by found on the Big Rush website. 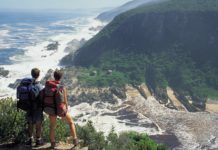 Cape Xtreme presents tours of Cape Town and overland tours. Included in the adventure activities are white water rafting, quad biking, shark cage diving, bungee jumping at the Bloukrans River Bridge, and trips to the Kruger National Park, Mozambique, and Kenya. Cape Town-based Downhill Adventures has a number of bungee jumping options. There’s a two-day trip that includes jumps off the Gouritz and Bloukrans Bridges, a one-day option that includes a visit to the Gouritz Bridge, and a combo Great Shark-Jump option that includes cage diving with Great White Sharks and bungee jumping at the Gouritz Bridge. Bridge swinging, single or tandem, is also part of the deal. 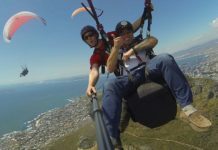 Face Adrenaline presents bungee jumping at the 216-metre-high Bloukrans Bridge on the Garden Route, the highest commercial jump site in the world. They’ve been doing it since 1997 and that experience makes Face Adrenalin hard to beat. They also offer the Flying Fox – a 200-metre-long cable (foofie) slide. 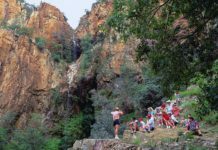 Living on the Edge Adventures hosts Bungee Mogale, which operates off the Kings Kloof Bridge in Krugersdorp / Mogale City. People between the weights of 40 and 120 kilograms are able to do the bungee jump, but no tandem jumps are allowed. The height of the jump is about 50 metres – plenty high for adrenaline seekers! Orlando Towers in Soweto, Johannesburg calls itself a vertical adventure centre, and it’s hard to argue with that description. 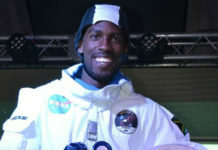 They offer bungee jumping, climbing, abseiling, rap jumping, and swinging. The Towers, with their eye-catching paintings, were once part of one of the most advanced power stations in the southern hemisphere. They no longer function as a power station, but with all their exciting offerings there is still electricity in the air! The Big Swing, located at the Panorama Gorge in Graskop, Mpumalanga, features a freefall from a height of 80 metres, which crosses the Gorge at a sensational speed. Wildthing Adventures offers bridge jumping, which involves a big fall in a body harness before swinging between two bridges. It happens at the Gouritz River Bridge and has attracted visitors from over 70 countries. The record for the oldest jumper belongs to a 91-year-old man, the youngest to a five-year-old boy. Wildthing also presents other adventure activities, such as mountain biking, white water rafting and canoeing. Sources: South African Tourism, Wildthing Adventures, The Big Swing, Orlando Towers, Bungee Mogale, Face Adrenalin, Downhill Adventures, Cape Xtreme and Big Rush.